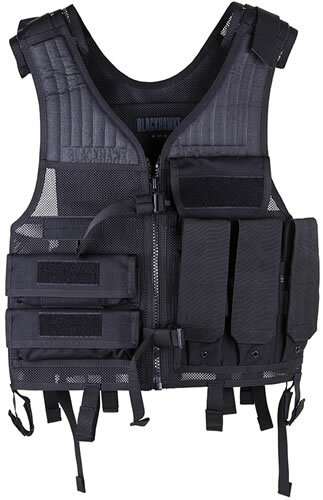 Made of heavy duty nylon mesh for maximum breathability. Adjustable for length and girth up to 6" length and an additional 32" girth. Two large internal zippered map pouches. Two M16/M4 pouches hold 4 magazines. Double pistol magazine pouches with adjustable lids. 14 round shotshell pouch. Pouches for flashbangs, handcuffs, O.C. spray and tactical light.